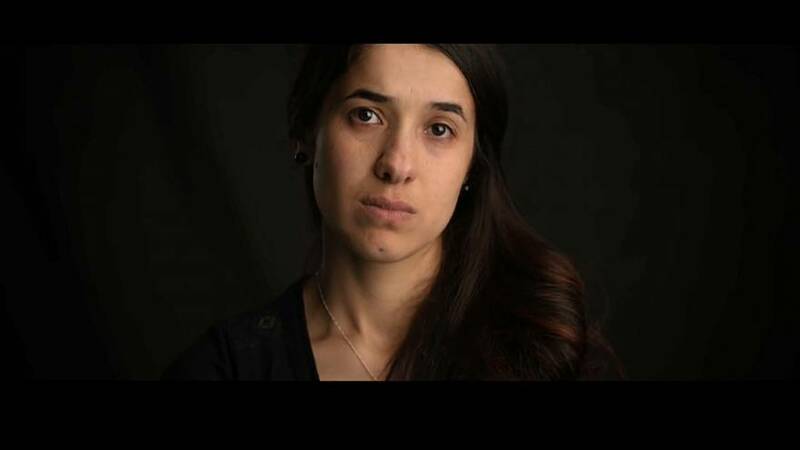 Nobel peace laureate Nadia Murad is the subject of a new documentarty that chronicles her life as an activist for the Yazidi people. Murad was one of about 7,000 women and girls kidnapped in Iraq in 2014 and held by the so-called Islamic State in Mosul where they were tortured and raped. After three months she managed to escape to Germany and has since taken to the world stage to appeal for support for the Yazidi. Her work on behalf of the oppressed minority earned her an appointment as a United Nations Goodwill Ambassador and - earlier this week - a Nobel Peace Prize. The documentary "On Her Shoulders" by Alexandria Bombach follows Murad as she moves through an array of undertakings - testifying before the UN, visiting refugee camps and meeting with government officials. The film premiered at the 2018 Sundance Film Festival and will open in the US later this month.